Interactive One has expanded its Latino market influence with the launch of Zona de Sabor , an entertainment news website targeting young, urban Latino Americans. Zona de Sabor serves as a Latino entertainment and news hub, joining an expanding family of Interactive One websites that are leading the category. 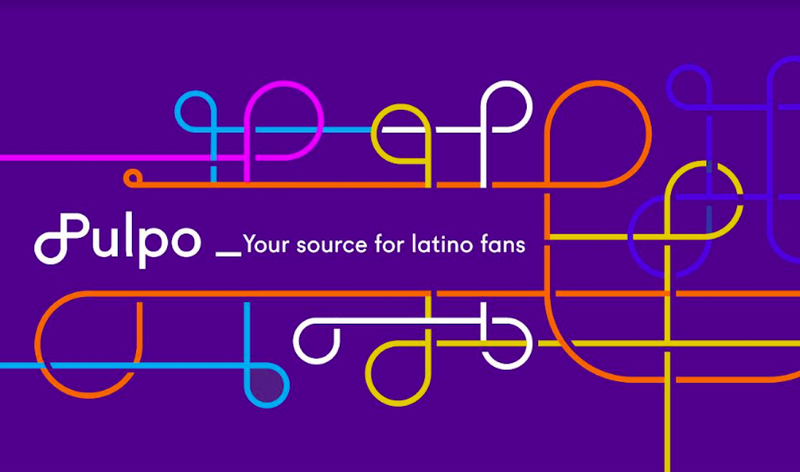 ZonadeSabor.com is a complement to MiGente.com, Interactive One's social media site targeting the same demographic, and serves up the hottest music, television, film, and fashion news for acculturated Latinos. "We're thrilled to have Boost Mobile and Lexus partner with us in launching Zona de Sabor . Together we will build stronger relationships with the Latino community by providing best in class content," said Keith Bowen , Chief Revenue Officer of Interactive One. "Lexus recognizes the value of ensuring our readers can access our content anytime, which led them to partner with us to launch Zona de Sabor on the tablet with the goal of providing content for today's active and on the go consumers." Quaker Oats, a division of Pepsi Co. is preparing to court younger, more diverse mothers, The New York Times reports. The big news for the Hispanic market is that Quaker is also starting a new campaign geared toward acculturated Hispanics who are bilingual but use Spanish as a dominant language. Quaker Oats will be using Television and Newspapers to reach the Hispanic demographic. Candy and snacks giant Mondelez International will consolidate U.S. media-planning and -buying duties with Publicis Groupe's MediaVest, while giving Aegis Group more international strategic responsibilities. MediaVest has long handled planning and buying for snack brands -- which include Ritz, Oreo, and Wheat Thins -- as well as TV and print buying for gum and candy brands, including Trident and Stride. The shop will now assume planning for the gum and candy brands, as well as digital buying. That work had previously been with Horizon Media, which is being cut from the Mondelez roster as the company wants to consolidate its U.S. business with MediaVestThe Mondelez brands spent nearly $245 million on measured media in 2011 in the U.S., according to Kantar Media. The change comes after a lengthy global review that was launched late last year as the marketer began operations as a standalone company after Kraft Foods split in two on Oct. 1. The other company is Kraft Foods Group, which markets North American grocery brands such as Oscar Mayer and Planters. Its media duties are handled by MediaVest sibling agency Starcom. K. Fernandez & Associates is opening an office in Brownsville, Texas. Based in San Antonio, the agency is coming to Brownville, with a new focus on the Rio Grande Valley market. The opportunity presented itself when one of the agency’s team members, Wanda Reyes-Rice, relocated to the Valley. One of the agency’s clients, Germania Insurance, is active in the Valley largely thanks to the guidance of Fernandez & Associates which represents the insurer in 100 markets around Texas. The firm also has signed up a new client, Buffalo Wings Rings, on Ohio-based franchise that has opened locations in Edinburg, McAllen and Weslaco. Fernandez Parker sees plenty of opportunity in the Valley in light of significant growth happening here, partly thanks to the migration of affluent Mexican nationals getting away from the threat of violence at home. Many of those migrating to McAllen are from Monterrey, while Tampico supplies most of the Mexican nationals moving to Brownsville, Fernandez Parker said. An example is The Scooter Store, which hired Fernandez &amp; Associates to advertise its mobility products to Hispanic consumers. Pfizer, inc. will pay $1 million to Oregon and run advertising nationally to correct prior ad campaigns that allegedly misrepresented risks and benefits of products. The new settlement, filed in Marion County Circuit Court, concerns ads for EpiPen, the company's injectable form of epinephrine, and Zmax, an antiobiotic.In May, the federal Food and Drug administration issued a warning letter saying an ad called "Max's Birthday Party" had downplayed the "serious risks" of EpiPen. The ad was issued by a firm called Mylan Specialty, L.P. on behalf of Pfizer. The FDA called for corrective advertising. In June the FDA issued a similar warning over an ad for Zmax, known also as zithromax. Pfizer agreed to the Oregon settlement after the state Department of Justice accused it of violating previous agreements with the state, in which the company agreed to not make misleading claims.In the last 12 months, the state has recovered more than $16.5 million in consumer protection settlements from drug and medical product companies. The company behind the popular dance-workout classes recently released a music video on Vevo for a song called "Zumba." It's part of a strategy that the company's CEO Alberto Perlman says he hopes will see Zumba transform from a fitness brand into a broader entertainment and media platform.While Zumba has previously made dance videos for songs used in its classes, the new video uses a track released this past April by Latin pop artist Don Omar that doubles as a promotional tool, dropping the name of the brand several times throughout. It ties into Zumba's video fitness game on Xbox and Nintendo Wii as well.When the company began via informercials in 2001, it couldn't have foreseen evolving into a more sophisticated marketer, something that's happening now as a result of cult following and its explosion into a giant branded empire (as Ad Age reported earlier this year, when reporter Alexandra Bruell took a class with the company's chief marketer. )In the past six years it has expanded its marketing budget to more than $50 million from just $2 million. Zumba reports more than 14 million weekly class participants in over 140,000 locations across more than 150 countries. That scale has allowed Zumba to begin explore revenue opportunities beyond its fitness classes, including DVDs, apparel a The new music video is entirely in Spanish, so is this a play to bring more Hispanic consumers to classes? Not necessarily. But Mr. Perlman said he's conscious of not just marketing to English speakers, one reason Zumba classes play songs in various languages. Zumba now has writers and producers in Brazil working on new songs in Portuguese. Others are creating tracks in Hindi based on Bollywood rhythms. The Hershey Company is launching a global agency review for all media planning and buying, the confectionery marketer announced. According to the company, the agency review will be by invitation only, and all incumbent agencies will be a part of the review process. OMD is the U.S. incumbent. The company spent an estimated $450 million on ads in the U.S. in 2011, according to Kantar Media. Global spending was not immediately available.Late last year, company CEO John Bilbrey said Hershey plans to increase global ad spend by a low double-digit percentage in 2012, partly to support new campaigns for Jolly Rancher and Rolo as well as the new Hershey’s Simple Pleasures, which the company says has 30% less fat than some milk chocolate products. Hershey said it expects to complete the review by next summer. The review includes all paid media, including TV, print, digital and Hispanic for the U.S. business -- the company’s largest -- as well as Hershey’s growing global businesses. This includes the company’s key growth markets of China, Mexico, India and Brazil. Target Corp., which has been seeking a way to pursue Hispanic customers through a combination of English and Spanish advertising, said it has named LatinWorks of Austin, Texas, to handle the job. Until recently Target worked with California-based Grupo Gallegos, also an Hispanic ad agency, Target awarded its U.S. Hispanic account to LatinWorks after a three-month review that also included sibling Omnicom Group shop Dieste. H-E-B is introducing new components of its Healthy at H-E-B initiative to help customers eat and live healthier in 2013. The new features include a nutrition labeling system and a weekly newsletter filled with healthy tips, recipes and coupons. The Healthy at H-E-B is a comprehensive, long-term commitment to improve the health of Texans and provide them with fresh, healthy food that is affordable and easy to prepare.H-E-B will introduce its health initiatives to customers with a "Total Store Event" from Jan. 2 through 15 that will be packed with cooking and fitness demonstrations and free health screenings during H-E-B's Second Saturday event on Jan. 12 from 9 a.m. - 2 p.m. H-E-B first launched Healthy at H-E-B for its employees in 2004, and in 2012 expanded the initiative to customers in an effort to address Texas' growing health and obesity crisis. The initiative includes special offers on healthy food, fitness groups, events and competitions organized around the three critical pillars of health -- food, body and life. H-E-B will also continue to sponsor and encourage participation in community fitness events. National Pork Board travels to Texas this week, where more than one of every three residents is of Hispanic descent, to explore opportunities to market more pork to the growing Hispanic population in the United States. The board will meet in San Antonio Jan. 7-9, also conferring with Texas pork production leaders and with Texas and national experts in foreign animal diseases. The Texas meeting continues the board's tradition of visiting a pork-producing state during January. The board met last year in Illinois and has met previously with state pork leaders in California, North Carolina, Oklahoma and Ohio. “We have successfully focused Pork Checkoff marketing programs on the Hispanic market for a number of years,” Nelson says, “because we know pork historically is an important part of the Hispanic diet. But as the population continues to grow in this country, we need to better understand what we can do to assure that pork continues to satisfy the needs of customers of Hispanic origin.”Board members have invited Ernest Bromley, chief executive officer of Bromley Communications, the nation's largest Hispanic advertising agency, to discuss marketing trends. Board members also will meet with Dan Marshall, business development director for H-E-B, a major food retailer in the Southwest, review Pork Checkoff marketing programs and tour the Culinary Institute of America in San Antonio. GET ALL THE LEADS YOU NEED WITH PORTADA’S INTERACTIVE DIRECTORY OF CORPORATE MARKETERS AND MEDIA BUYERS! For detailed contact information on Hispanic Corporate Marketers at these companies and the decision makers at their Advertising Agencies, get access to Portada’s Interactive Directory of Corporate Marketers and Agencies targeting Hispanics of more than 3,000 Leading Agency and Marketing/Advertising Directors who are targeting Hispanics. (Downloadable into an Excel Spreadsheet for seamless integration into your own database! ).